Higher mileage and a willingness to race over-distance and embrace the mud are all part of the 800m athlete’s game plan. 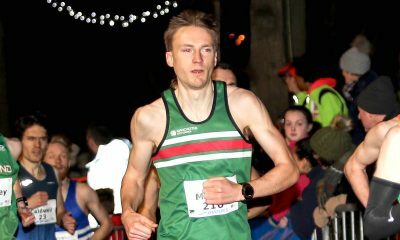 Jamie Webb excelled by finishing an impressive fourth at the Metropolitan League Cross Country fixture at Welwyn last November, a result which goes some way to explain why he is seeing his times tumble on the track. That 14:33 lifetime best came just three weeks later at the notoriously fast Podium 5k in Barrowford, Lancashire. 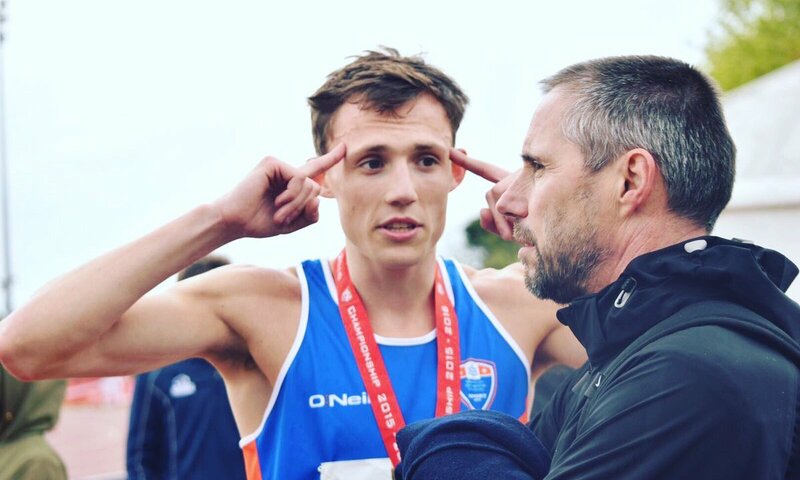 Jamie and his coach and father, Adrian Webb, had agreed to keep the Podium races in his schedule when they sat down together last autumn to plan his training going forward. That is proving to be a very accurate analysis of the Liverpool Harriers’ progress over the last seven months. Webb’s 1:45.73 800m best came last June when he won the Memorial Leon Buyle in Belgium. Just one week later he ran his second fastest ever 800m at the Stockholm Diamond League to finish fourth in a fine 1:46.37. The 24 year-old clearly got his head down in the intervening winter months and clocked some bigger miles to go onto post those cross country and 5k performances at the end of 2018. 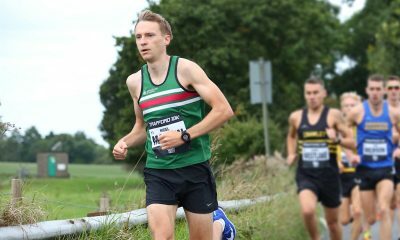 He reveals he had also been keen to return to the scene of his 10k PB – the Leeds Abbey Dash – in November, where he ran a decent 31:01 the previous year. “It was tough to have to decide against it as I knew I was in great shape, but we were in a massive training phase so I had to be sensible and focus on the priorities,” he explains wisely. 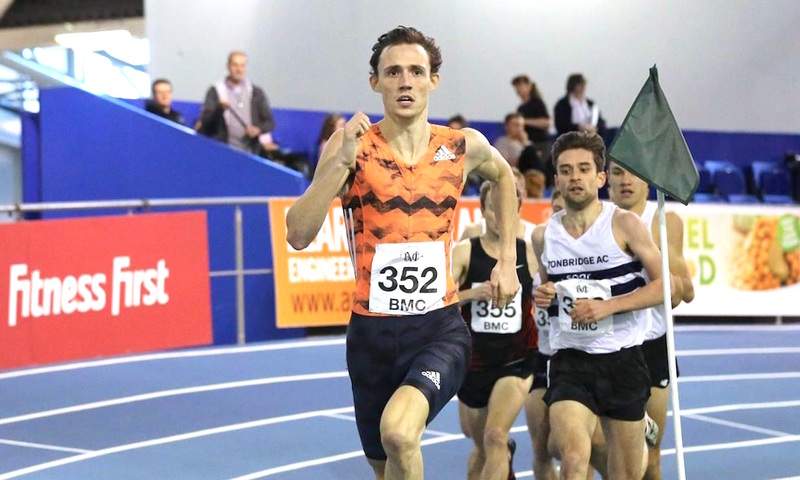 It proved to be the right decision just a few weeks later when he clocked up a 3:43:59 1500m PB in January to win the Sheffield BMC, beating off stiff competition from the likes of Aldershot, Farnham & District’s Jonny Hay. Webb is reluctant to go into too much detail about his training – ‘we are quite secretive about the work we do’, he explains – and says it would be tough to explain it in its entirety. “My dad and the coaches at the London TRY Adidas team have really rewritten the book for me,” he reveals. “There’s a lot of varied pace in there, I’m running faster and further than I ever have before. I am also running more quality miles than before, which has shown to be effective. That committee of endurance and strength and conditioning coaches is supported by a group of physios and nutritionists, ensuring no stone is left unturned in the pursuit of excellence. Relenting slightly when pushed for more detail about his undoubtedly successful training regime, he gives a little insight into what his training blocks might include. “We don’t work on a seven day week,” he explains. “Our blocks are from 4-18 days, which sometimes means track sessions on Friday nights and gym on a Monday morning at 6.30am! (The now president of the IAAF and former 800m world record holder Seb Coe – his 1:41.73 PB still heads the UK rankings some 37 years later – famously used to run hard uphills with his dad at the top ready to drive him back down again to significantly reduce his recovery time). He continues: “My hill workouts are just very different, and move all the way down to 10 second power technique hills. 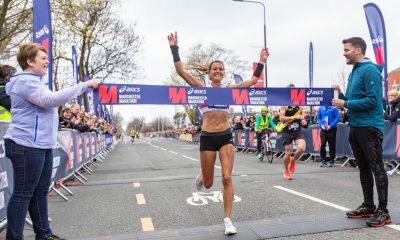 Webb explains that his impressive performances so far this year – which include that 3:43.59 PB in Sheffield – have been sandwiched in the middle of heavy training. “It’s been fun to test out my fitness, but also see what areas I needed to work on,” he explains. “I’m really excited about the season moving forward as I’m in a great place. Training is giving me confidence and I know things are heading in the right direction. “It’s a challenging balance with work as a full time teacher, but if you want to beat those who are full time athletes you have to be doing everything you can.